NEW PRODUCT – Aluminum SMT Heat Sink – 0.25″x0.25″ square – 0.5″ tall « Adafruit Industries – Makers, hackers, artists, designers and engineers! NEW PRODUCT – Aluminum SMT Heat Sink – 0.25″x0.25″ square – 0.5″ tall – If you want to heat sink a SoC, motor driver, linear regulator, FET or other surface-mount package part, you might find yourself struggling to find a good heat sink. 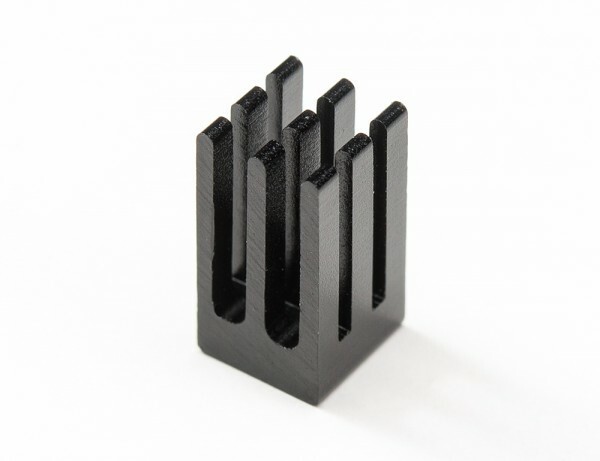 These extra-tall extra-small mini heat sinks are easy to use and give you an extra thermal boost. 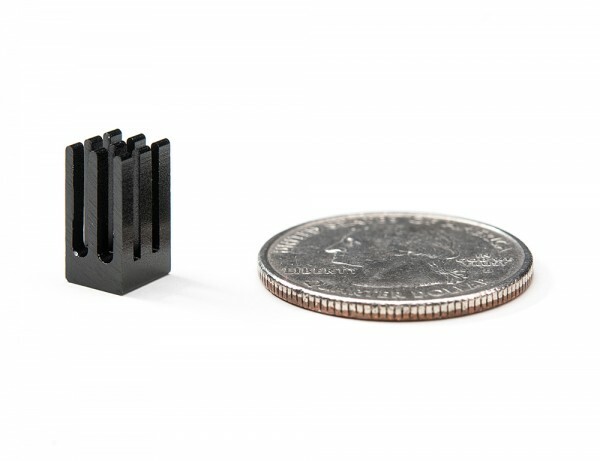 The heat sink is a 0.25″ x 0.25″ (6.5mm x 6.5mm) square with 9 tall ‘fins’ sticking out the top. The total height is 0.5″ (12mm) but you can easily file it down if you need a shorter heat sink to fit in a case). Simply use thermal tape or a small amount of thermal paste to attach to the top of any flat chip. There is no thermal tape included with this product. Ideal for medium flat BGAs, TSSOPs, QFNs, etc!